Where would we be without exciting online tools? Whether you're using a desktop computer, or a mobile device, interactive tools from OSRAM are the way forward. Find the right lamp for you with our Vehicle Lamp Finder. 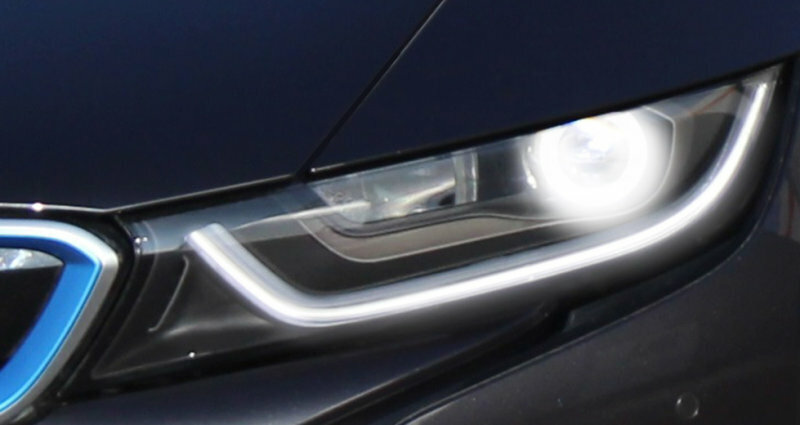 Read all you need to know about automotive lighting at the carlightblog. Tune your light with our brand new LEDambient app. And –especially for truckers– learn how to save money with the TRUCKSTAR PRO calculator tool. 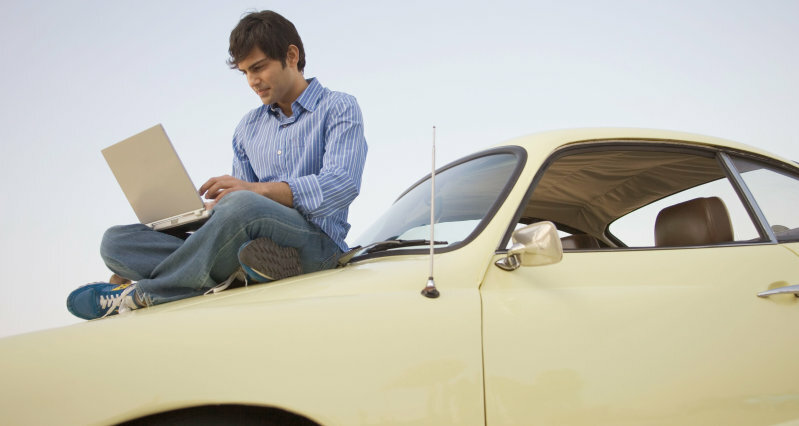 You want to replace the lamps on your vehicle, but don’t know which model is the right one? 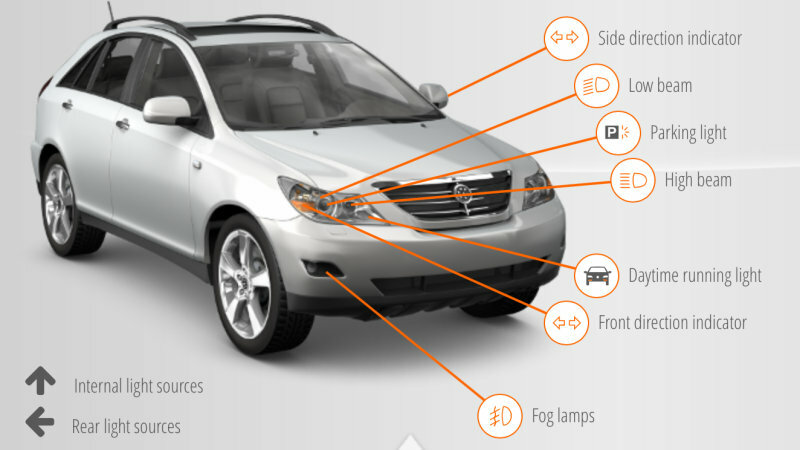 This is where the Vehicle Lamp Finder can help. Whether you drive a car or truck or ride a motorbike, this tool will find the right headlight lamps, high-beam lamps, fog light lamps, turn signal lights, and much more. OSRAM monitors all quality and performance aspects of its products as carefully as possible, because only an original OSRAM product performs like an OSRAM original. And you wouldn’t settle for anything less, would you? Check your xenon lamps with just two quick steps. Don’t trust your eyes. Trust OSRAM. Check tool: Is your xenon lamp an original OSRAM product? What is the difference between halogen, xenon and LED light? How do I add DRL to my car? How do I adjust my headlights? 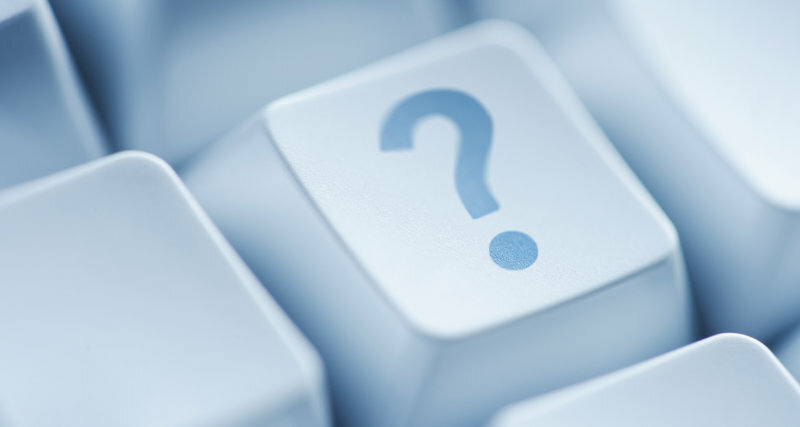 Answers to these and many other questions can be found in the carlightblog. Saving money – now that’s something we all find interesting. 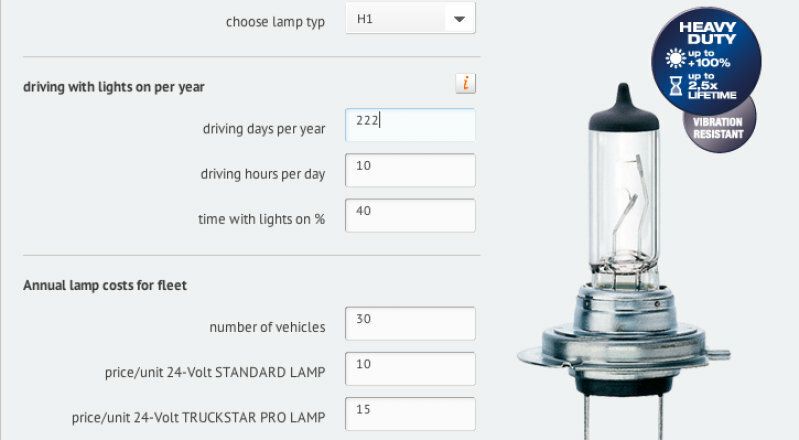 The TRUCKSTAR PRO calculator tool provides clear information to any fleet operator how costs can be reduced by using certain lamps. The results speak for themselves. See for yourself. Being mobile is everything these days. With the OSRAM apps for iPhone and Android smartphones you will always be up to date and easily find the right lamps for your vehicle.